Mypre™ 2.0 is our premium range pre-workout supplement. It delivers the boost you need to see superior results. Created using an optimal blend of carefully researched ingredients, Mypre™ 2.0 is an explosive blend of citrulline, caffeine, as well as essential vitamins and minerals – including vitamin B6, which is scientifically proven to contribute to the reduction of tiredness and fatigue. Our improved formula now exclusively includes a combination of AstraGin®, BioPerine®, Capsimax®, and TeaCrine®. These have been specially created to help push you further and break barriers – rep after rep, set after set. What are the benefits of Mypre™ 2.0? Mypre™ 2.0 is a powerful mix of ingredients, specially formulated to give your workout the kick-start it needs. Whether you’re smashing a bodyweight circuit, or you’re about to hit the weights hard… Mypre™ 2.0 is the ideal formula to get you firing on all cylinders. Our ultimate pre-workout also comes in four sweet and fruity flavours including Blue Raspberry and Fruit Punch. Creatine: our hard-hitting blend contains creatine monohydrate, scientifically proven to increase physical performance in successive bursts of short-term, high-intensity exercise. L-glutamine: an amino acid, which are the building blocks of protein, it is highly popular among athletes, from bodybuilders to endurance competitors. AstraGin®: 100% natural, and sourced from plants including panaxnotoginseng and astragalus membranaceous, AstraGin® is a popular ingredient in many of our products. BioPerine®: derived from the fruit of the black pepper plant, and popular in Chinese traditional therapies. Add some seasoning to your workout with this ingredient. Capsimax®: concentrated natural capsicum extract from red hot chilli peppers. Fire up your body, without feeling the burn in your mouth! TeaCrine®: derived from theacrine, and similar to caffeine, which increases alertness and concentration* – giving you a boost when you need it most. Our formula also contains: contains 3g L-citrulline malate 2:1, 1.6g beta alanine, 1g betaine anhydrous, 0.5g L-arginine, AAKG 2.1, 0.5g L-tyrosine, 0.2g choline bitartrate, and 0.5g L-carnitine. When should you take Mypre™ 2.0? It’s recommended to consume your pre-workout formula approximately 30 minutes before your workout to gain the maximum benefits. Whatever your fitness goals, it’s important that you’re fired up, and our unique formula gives you the big boost you need. Mypre™ 2.0 is an all-in-one pre-workout formula, helping you push past your limits and achieve those all-important fitness goals. 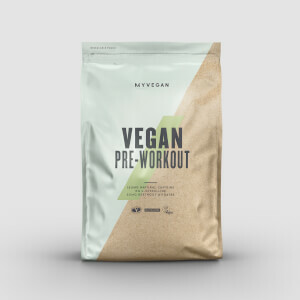 To help to maximise your results, why not combine Mypre™ 2.0 with Thewhey™? 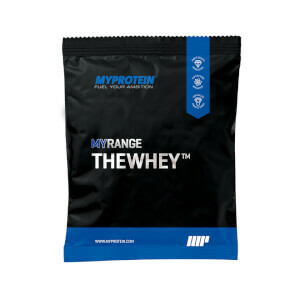 Thewhey™ is our ultra-premium whey protein, crafted using the finest ingredients to promote muscle growth and maintenance*, with over 25g per serving. * Creatine is proven to increase physical performance in successive bursts of short-term, high-intensity exercise. The beneficial effect is obtained with a daily intake of 3 g of creatine. * Caffeine is proven to increase alertness and improve concentration. 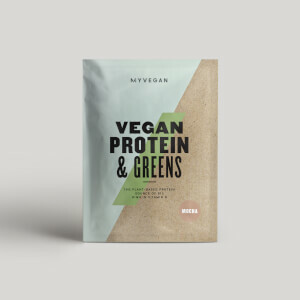 * Protein contributes to the growth and maintenance of muscle mass. Take 1 scoop 30 minutes before exercise. Mix each scoop with 300-400 ml of cold water (to desired sweetness) and consume immediately. We suggest starting with 1 scoop or less to assess your tolerance. Contains 175 mg Caffeine per Scoop. Warning: High caffeine content. Not recommended for children or pregnant or breast-feeding women (175 mg caffeine per 14 g serving). Do not exceed the stated recommended daily dose.This product should not be used as a substitute for a varied, balanced diet. Keep in a cool dry place out of direct sunlight. Suitable for vegetarians. Store out of the reach of young children.